Tank-based heaters waste energy by keeping water hot at all times, even when not in use. These heaters also waste water when homeowners wait for shower or sink water to warm up. Tank-less water heaters, on the other hand, can heat up and deliver hot water directly to the fixture, exactly when you need it. Also, because water does not stay stagnant in a tank, tank-less heaters do not corrode or cause mineral buildup. 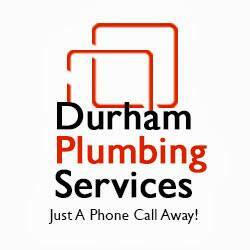 By installing a Tank-less Water Heater in your Durham home, when hot water is turned on, the water is instantly heated at two to five gallons per minute. When the water is turned off, it stops heating the water. This is more efficient than the standard hot water tank which keeps working until the water has reached its set temperature. While this may seem to be a costly investment in the short run, a tank-less water heater can last more than 20 years – allowing the energy and replacement savings to outweigh the initial costs.